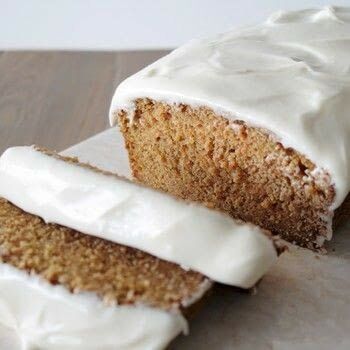 https://www.cutoutandkeep.net/projects/carrot-tea-cake • Posted by Olivia B. All the goodness of a carrot cake with half the effort. Preheat oven to 350°F. Butter and flour a 9x5" loaf pan (I used Homemade Cake Release). In a bowl, whisk together all dry ingredients (flour, baking powder, baking soda, salt, cinnamon, and nutmeg). In a mixer with the paddle attachment, beat the butter and brown sugar until light and fluffy (on med-high speed). Beat in eggs one at a time and 1 teaspoon vanilla. Beat in carrots. With mixer on low, gradually add flour mixture; beat until just combined. Transfer the batter to the pan and bake until a toothpick inserted in center comes out clean, approx. 40 to 45 minutes. Let cool in pan for 5 minutes. Turn cake out onto a wire rack, and let cool completely. Frosting: Using mixer with a paddle attachment, beat the cream cheese, icing sugar, and ½ teaspoon vanilla until fluffy. Spread on cooled cake.